This year our school break coincides with Daylight Savings Time … which in my mind is the non-official start to Spring. While I missed the one hour of sleep last night, I will relish the extra hour of afternoon daylight for the next several months. 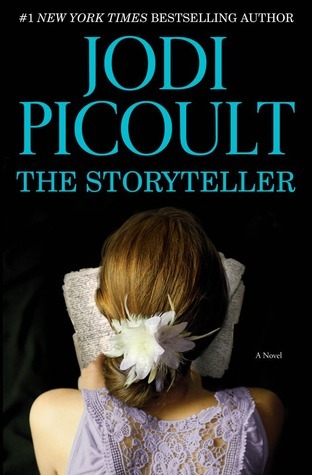 I’m currently reading The Storyteller by Jodi Picoult. One of the challenges for #MarchMysteryMadness is to read a historical mystery/thriller, and this book fits the category. The story focuses on two survivors of World War II: a Jewish woman who witnessed the atrocities of the Halocaust, and a German SS soldier. As is typical of Picoult, the story unfolds with alternative viewpoints as well as alternative time periods, with flashbacks to the 1940s. I’ve read half the book and plan to finish this week. While I enjoy the story, I find it difficult to read through some of the gruesome details. This will be my one WWII book of the year. I know it is important to never forget, but I also know my hyper-sensitivity cannot handle the emotional turmoil for long periods of time. I finished reading Big Little Lies by Liane Moriarty and LOVED it! I can hardly wait to read more by this author. Do you have a favorite? I’m not sure which book I will read next: either Still Life by Louise Penny (as part of the March Mystery challenge) or The Boys in the Boat by Daniel James Brown. The latter title is the first selection for my new book club. YES… I am (finally) going to be a member of a real book club! This has been a bucket-list item for years and I’m excited to get started. Our first meeting is mid-April and I am co-leading with two friends from school. For those of you who are more experienced with book clubs, I’d love to hear any tips or suggestions you may have to keep the conversation fun and engaging. This time last year I was traveling with 37 other parents and students through London, Paris, Florence, Rome, and Sorrento. This year’s break will be considerably more mellow, but I look forward to it just the same. I see lots of time for reading, of course, and writing. I will focus my writing efforts on the second book in my Travel through Art series. This time, Ellie will travel to Boston. Last week I finished outlining the story, both in Scrivener and on paper. Because of the various details of this project (paintings used for each chapter and iconic Boston sites to visit), I felt the need to draw a large map and trace her journey through the city. Since several friends asked me to share my outlining process, I created a video. I will return to school with a vengeance next week. Not only will the English Comp class work feverishly to complete the research paper, but I will also substitute for the third-grade teacher. It’s been a l-o-n-g time since I taught elementary students, but I’m looking forward to the opportunity to try my Writer’s Workshop curriculum. Monday will focus on writing a fractured fairy tale. I’ve had fun researching a variety of picture books to read with the class as examples. They will then create storyboards for their own fractured tale, and complete the illustrations and revisions at home. 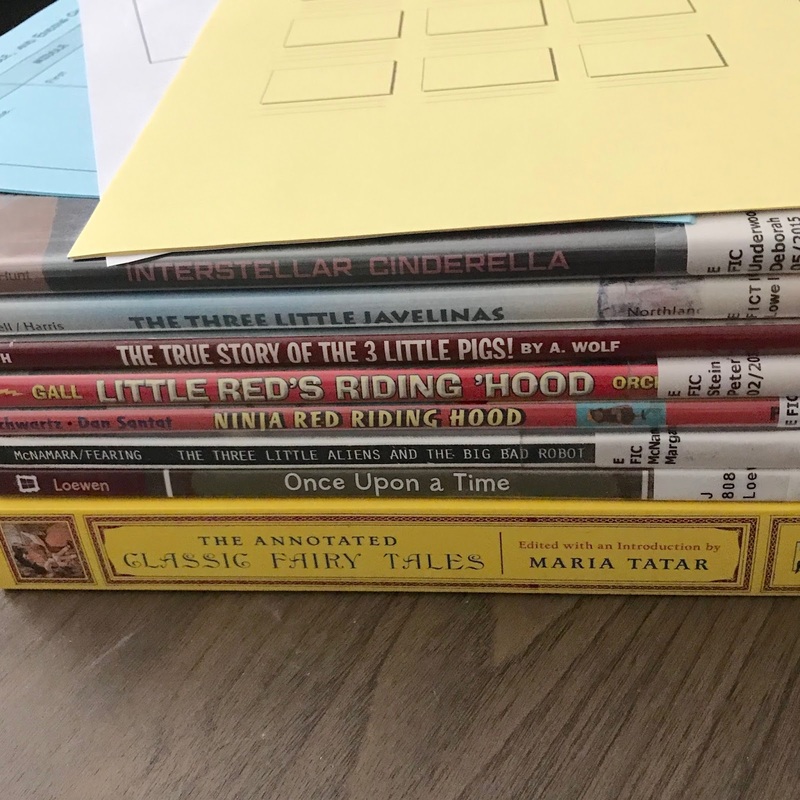 On Friday, students will share their polished fairy tales, and then we will begin a mystery writing workshop. 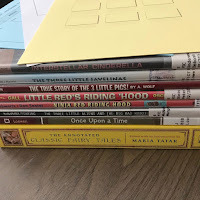 Again, I have several picture books to read as examples, and then students will develop a mystery complete with a crime, a list of suspects, and a variety of clues. I hope to end the session with students sharing their mysteries and the class trying to solve them. For the third year in a row, I plan to take part in the A-Z Blogging Challenge. March 19th is the date for the official “theme reveal” so I will wait another week to share my topic with you. I did spend several hours yesterday trying to devise a blog post for each letter of the alphabet. Surprisingly, the most difficult letters for me this year are J and K.
I do enjoy the creative challenge of this annual blog tour, and I look forward to discovering new online friends in this fun, somewhat educational, event. I hope you didn’t miss that hour of sleep too much last night … and I wish you lots of sunshine and warm temperatures in the upcoming week. We have sunshine today, just not the warm temperatures but hopefully by month's end. I loved What Alice Forgot by Moriarty. I struggled with Big Little Lies but I think it's because I chose to listen to it. I loved The Boys in the Boat and highly recommend it. Enjoy your spring break! Don't stress too much about the book group. When I worked for the library, I was supposed to help our assistant manager with a new book group. Then she got sick and the manager told me – you'll be the one doing this – you can handle it, right? I said – I've never even been in a book group! However, it was fine. And that was 11 years ago. A few months into it, I asked the manager if I could start a second group that would focus on mystery/crime novels. She told me to go for it and I still moderate and run that group as a volunteer and have for most of the last 10 years. We're going strong. Usually, if people attend a book group, they want to talk about books. That's kind of what we all have here. I usually seek out some info about the author or sometimes look for a short video about the book to share. You'll get the hang of it. I do try to encourage everyone to share their thoughts. Even those that try to 'hide'. Ha! I haven't used prepared questions much, but I often have them or look over them. And you can always say – what else have you been reading that you've loved? Readers like that! Good luck! GREAT suggestions here, Kay – thank you! I especially like the idea of researching the author and sharing that info before the book discussion begins. I really enjoyed Big Little Lies, too! My daughter and mother are both reading it now. Wish I could recommend one of her other novels, but it's the only one I've read so far. 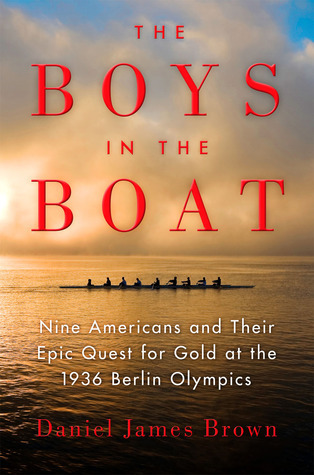 The Boys in the Boat was an amazing audiobook and I'm sure it's just as good in print. It was a big hit with my book club. Everybody loved it and that surprised us all…. especially since none of us knew much about the topic. Hope you have great spring break! The Powers That Be always seem to throw Daylight Savings Time and St. Patrick's Day (that awful day of pinching) into our spring breaks in Texas, so we don't have to deal with those problems during school time. I hope to do some writing with my classes next week and the week after that. We are setting up a little publishing station, so I am hopeful that we can write and publish a few books before I retire in May. I can't believe that I haven't read or listened to Boys in the Boat. I know, I know. I'm about 25% through The Boys in the Boat and I am also very surprised how much I'm enjoying this book. I'm trying to refrain from researching and just enjoy the story – but I'm very interested in learning more about crew.